After what feels like a month-long bender, you probably don’t even want to see alcohol right now. But, somehow, you still have a lot of it sitting around your house. What to do with all this leftover booze? 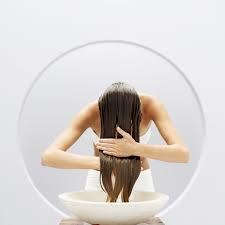 How about a DIY hair treatment? Alcohol is a longtime industry beauty secret of models and notables (probably discovered after many a late-night party,) with supermodel Eva Herzigova recently copping to the Telegraph that she’s been lightening her blonde strands with vodka for years — and clearly she’s doing something right. Before you reach for any random leftover bottle, you’ll need to know exactly what types of alcohol will boost your hair to its beautiful best. After all, who needs a bad-hair hangover? We called some of our favorite industry experts to get the cocktail recipes that will make your mane look magnificent. That’s right: A perfect hair day is only a shot glass away.